These products are retired, and are no longer available. The LNRP LocoNet Repeater Module Isolates and Protects LocoNet Layouts, it allows for greater expansion of the LocoNet system on large installations. The LNRP allows "protected" sections of LocoNet to continue functioning even when a fault occurs elsewhere, the LNRP automatically reconnects the faulty section once the issue is resolved. The PR3 Xtra lets SoundFX users download new Project sound files and even reflash the sound decoder's firmware for latest updates. It also acts as a computer interface and LocoNet Translator for your PC. 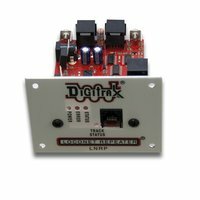 The PR3 Xtra is the most economical computer Interface we offer, it has all the functionality of a PR2 and a MS100 combined in one. Finally it functions on the more modern USB 2.0 interface making it easier to connect and more friendly to newer PCs. 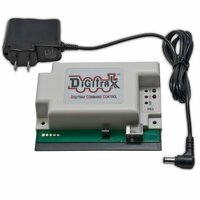 Now includes the PS14 Power Supply!